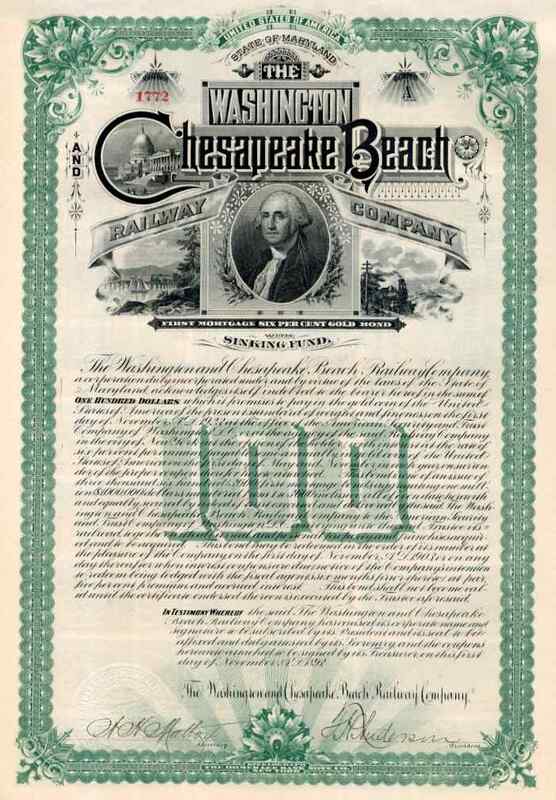 1893 Washington & Chesapeake Beach RW Bond. Small spur line that served resort town of Chesapeake Beach, Maryland. Vignettes of Washington, Capital building, sailboats in inlet, and steam locomotive on this attractive scripophily document. Scarce. EF condition.